Getting the best countertops for a kitchen can be very tricky. You need to have a good taste if at all you want to end up with a glamorous kitchen that will raise every eyebrow. For starters, when looking for countertops, you should make sure that they are durable, attractive and economical. This is exactly where quartz kitchen countertops come in handy. These countertops are known to be the best fit whether you want to remodel your kitchen or you are on the verge of building a brand new one. Being a place that is often subjected to heat, numerous food stains, and scratches, it is an excellent idea to go for quartz kitchen countertops which are known to be heatproof, scratchproof and stain-proof. You will not just end up with an elegant kitchen but also a fully functional one. It is a brilliant thought to have an insight on how much you are likely to part with so that you may know whether having a quartz countertop will suit your budget or not. You can easily get cheap Quartz countertops since they are always fairly priced. 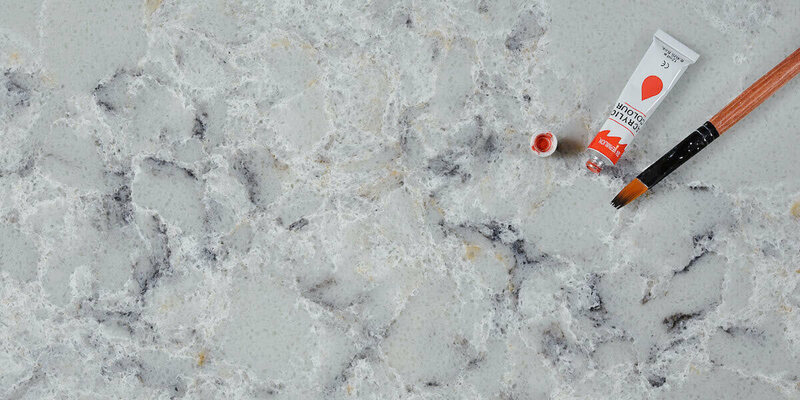 Quartz are a little less expensive than granite though this is not always the case, it is much more expensive than laminates and less expensive than granite. Although the correct amount that you will spend installing Quartz countertops in your kitchen depends on. You need to know that these stones come in different qualities. The highest quality of Quartz Kitchen countertops will tend to have lesser impurities compared to the lower quality. This is one of the basic cost determinants. You may find that the kitchen design is much simpler. This means that you will end up using less Quartz. This will, successively, reduce the total cost that you will spend significantly. On the other hand, if the kitchen design is much more complex, then you stand to spend more. It is always recommended to go for a lovely design so long as you can afford it. Finally, the total amount of money you will spend renovating or installing Quartz in your kitchen will depend on the slab thickness. If you want a thicker slab, it will cost you much more than if you were to take one with lesser thickness. This is because to come up with a thick slab, a number of Quartz are seamed together. 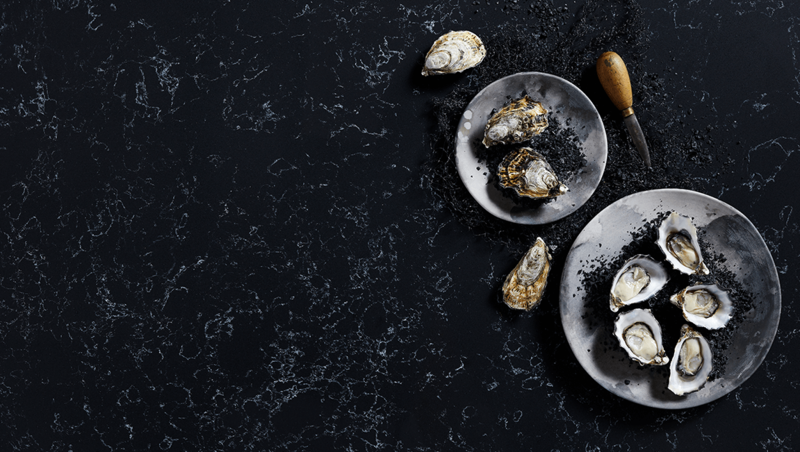 Quartz kitchen countertops have that charm that can fully transform your cooking space. They have the ability to boost the look of a kitchen effortlessly. However, these are not just the reasons why Quartz kitchen countertops are preferable than others. Some other reasons that you will find suitable include. Unlike other countertops, once Quartz kitchen countertops are installed, you only need a few maintenance tricks to keep them serving you for long. All you have to do is avoid scouring pads and harsh chemicals. Instead, wipe them with soapy water, and you will be done. This means that you don’t have to incur exorbitant maintenance cost after installation. Quartz kitchen countertops are tightly bound together by resin binders making them nonporous. This makes sure that there is no space for odor-causing bacteria, mildew or mold to squeeze themselves in the material. This feature is much more beneficial for health reasons. There is no kitchen design that Quartz countertop can’t fit. They are designed to Sync well with all designs and make your kitchen to be as beautiful as ever. You don’t have to agonize about the design not accommodating Quartz kitchen countertops whether simple or complicated. From the details above, it is evident that Quartz kitchen countertops are the best option for a kitchen design. They are very beautiful and increasingly beneficial economically. You also don’t have to worry about it not fitting in your kitchen design regardless of its complexity. It is thus the best choice for anyone who wants an elegant kitchen countertop that will serve him/her for a longer period of time. This entry was posted in Quartz Countertops and tagged best quartz countertops, cheap quartz countertops, quartz kitchen countertops.